The Volkswagen name is usually associated with good products. The company builds passenger cars, commercial vehicles and even trucks and all of its models receive good marks at the reliability and technology chapters. One of the most popular commercial vehicles sold by the company is the small Caddy van. The new Caddy is one of the best products you can buy on today’s market and it’s now considered a benchmark in its segment. The older Caddys weren’t as popular as the new ones, but they offered the same reliability levels and the strong build quality which is typical for the German manufacturer. 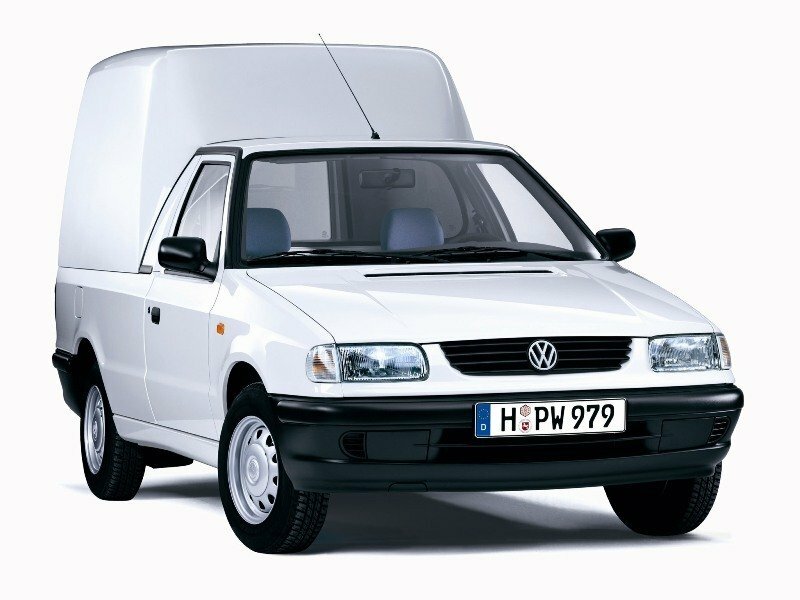 The 1996 Volkswagen Caddy was sold until 2003 and was based on the small Polo Platform which gave it very capable handling abilities. 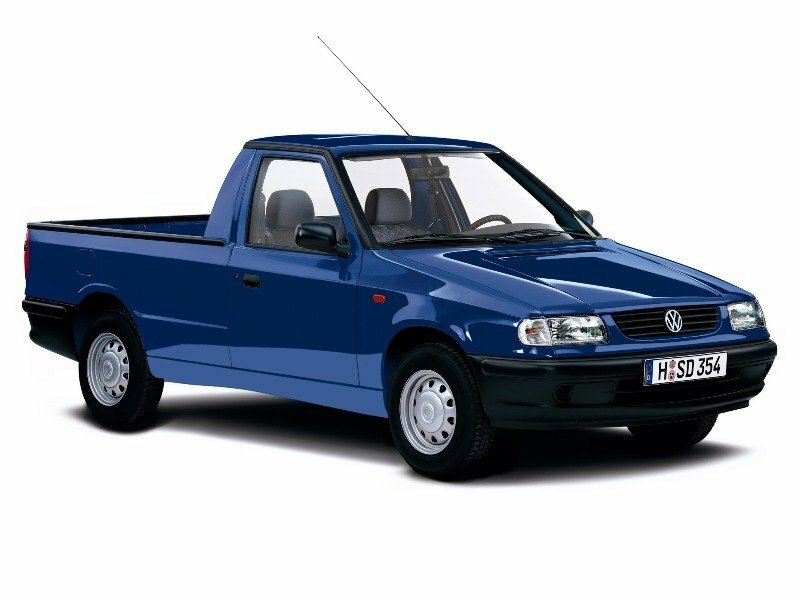 For its time, the old Volkswagen Caddy looked pretty stylish featuring a conventional design that aged nice. The vehicle is easy to recognize as a Volkswagen thanks to its clean lines and the solid build quality and all exterior lines displayed the visual insignia of the “W” badge. The vehicle had adopted the typical Volkswagen grille with horizontal stripes and the company’s badge mounted in the center. Continuing the conventional design, the main light clusters featured a rectangular shape which despite its simplicity coped well with the rest of the body. The bumper was also nicely finished and had an elegant curved shaped which makes it look pretty dynamic. Other exterior details included a pair of rectangular fog lamps fitted into the bumper and two longitudinal creases sculpted along the hood. Around the back there were vertical taillights and two asymmetric side hinged doors. To protect occupants by the moving cargo, in the rear was offered a standard a half-height bulkhead with an upper mesh grill. The load area is 1728 mm long, 1279 mm tall and 1530 mm wide, while load volume is rated at 2.9 cubic metres with a maximum payload of 625kg. Judging by the standards of its time the Volkswagen Caddy’s interior design was at par with its competitors. 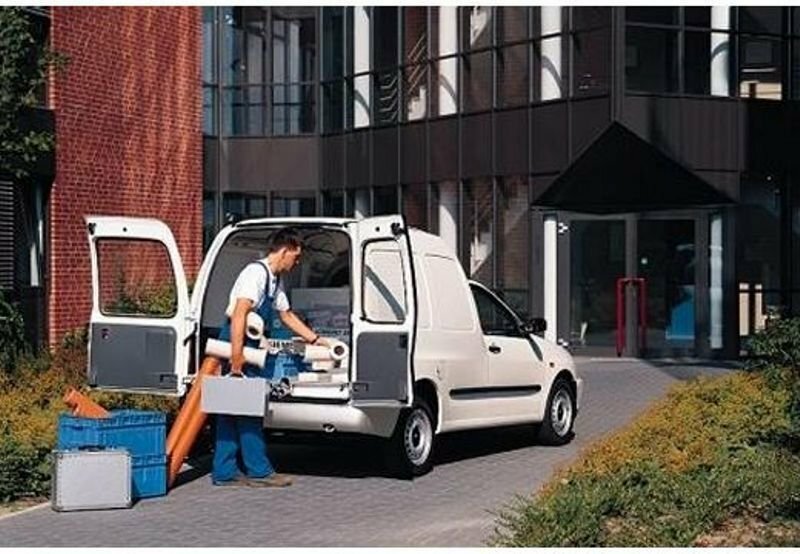 The materials and plastics used for the dash and doors is hard textured plastic, but the fittings are fairly solid and the van can withstand the abuse of harsh working conditions without whining. The overall ergonomy was among the best in the business and the central console was fitted with a bunch of easy to use controls. 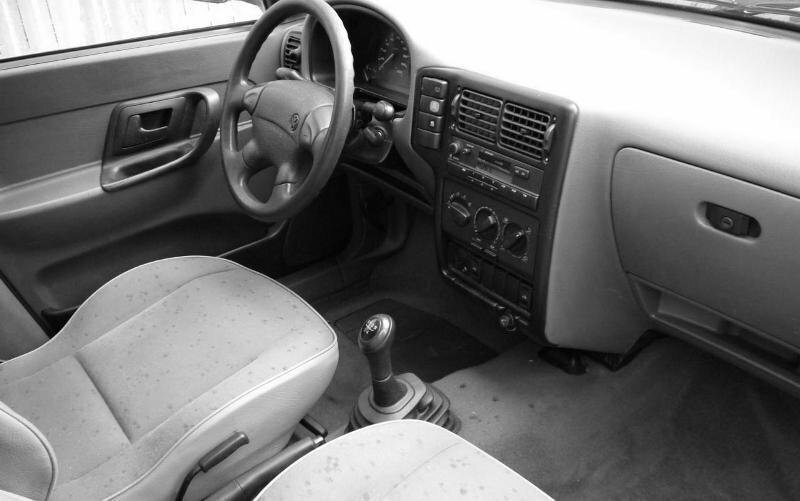 The floor mounted gear lever has also a good position and comes easy into the hand. The steering wheels looks dated if you’ll compare it with today’s units, but at its time was one of the best available on the market. Moreover, the steering wheel also came with tilt adjustments which helped you find a good driving position in no time. The instrument cluster wasn’t something to rave about, but its plain simple design made it easy to understand. The seats offered a car-like comfort and there were plenty of adjustments to help you get cozy behind the steering wheel. The all around visibility was adequate and you won’t have any major complains about it. Though, the lateral mirrors could’ve been slightly bigger, as they arguably offer a limited field of view. Storage was part of the first class as well, with a big glove box, decent door pockets and even a standard overhead shelf. The old Volkswagen Caddy was offered with three engine options. There were two petrol units with 1.4 liters and 1.9 liter displacements that developed 75 hp and 64 hp with 93 lb.ft and 92 lb.ft of torque, respectively. There was also a diesel unit on offer which developed 90 hp @ 4000 rpm with 149 lb.ft of torque achieved at 1900 rpm. The most common choice was of course the diesel unit, as thanks to its generous torque it managed to cope better with the utilitarian character of the vehicle. Though, it was far from being as refined as the newer units and at high speeds will start to show its raspy voice. The 64 hp petrol unit felt a bit lazy compared with its stronger turbocharged sibling, but it still managed to deal well with the requirements of urban commercial applications. Handling has always been Volkswagen’s forte and not many van manufactures can match the Caddy here. The vehicle was fitted with coil springs at the front and leafs at the back, offering a good compromise between ride comfort and stability, so spirited drivers won’t be completely disappointed by this van’s abilities. Thanks to its Polo platform, the Caddy had great road manners and despite its tall stance body lean was pretty limited. The old Caddy was also offered with a capable standard power steering that managed to offer a decent response and road feedback, helping you to deal with city traffic effortless. The front disc and rear drum brakes offered a decent stopping power and the middle pedal had a nice feel, but the vehicle wasn’t offered with standard ABS. 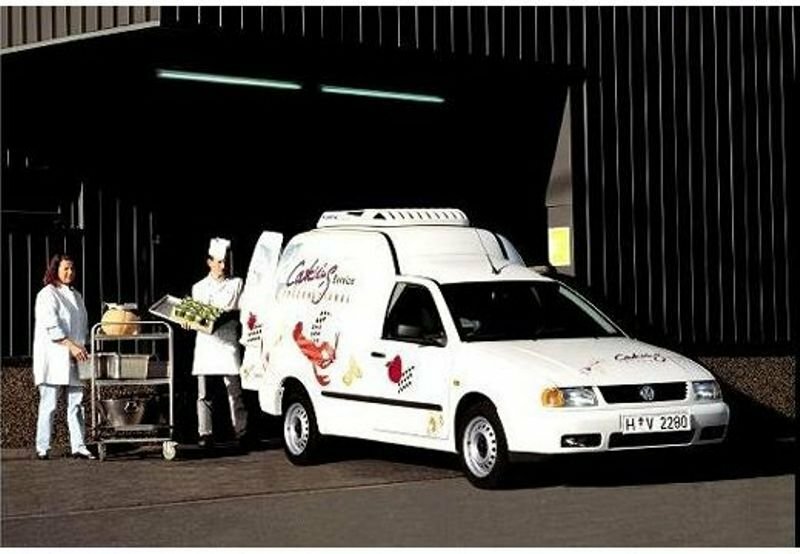 The old Volkswagen Caddy represented a strong base for the current model and even if it wasn’t as capable or refined as the newer versions it had anything it needed to stack up against its competitors. The build quality was among the best in its class, while the exterior design aged well and looked pretty good. The vehicle had also one of the most generous load volumes in its segment and the cabin was fairly comfortable with a decent ergonomy. There engines served the commercial purposes pretty well and they offered decent levels of power and efficiency. One of the biggest advantages offered by the Caddy was its superior handling abilities which gave it a car like feel.